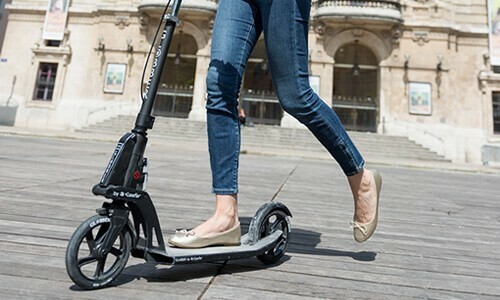 Our adult scooters come in a range of sleek urban styles and are fitted with a 1-second folding system, plus a handlebar-mounted front brake lever - perfect for safe and easy commuting in the city. The K-One Active has the added benefit of height adjustable handlebars and a piston-assisted folding mechanism. Our adult scooters are the best on the market, each one fitted with ABEC 7 wheel bearings for a long lasting, smooth ride. ©2018 Globber.co.uk All rights reserved.